Our adoption scheme is the perfect way to get your daily dose of Charity, and you'll be part of our Cattles' lives forever. 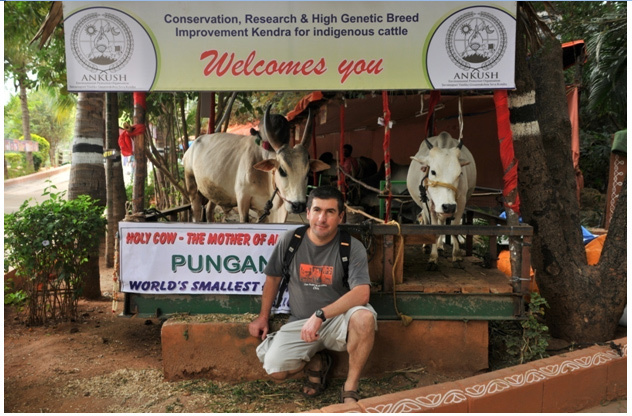 Our Cattles come to us for conservation and development of the (desi) Indigenous breeds. By adopting Cattle you'll guarantee their future with us where they will never want for warmth, care or food again. Your adoption pack includes a framed portrait, a certificate and your Cattle’s story plus you’ll receive regular updates about your Cattle. A cattle will be named on your wish. You can donate on your Special days of Birthday, Wedding day and festival day to feed the cows. On Wednesday giving food to cow will give advancement in professional life. On Saturday giving grass and agathi keerai to cow will remove us from the shackles of poverty. Your contribution will be exempted from tax U/s 80G of Income Tax Act. In Brihat Parashara Smriti (5.26-27) it is said that one who feeds the cow with grass and water every day derives the benefit equivalent to performing Ashwamedha Yajna. Please remember to send us your email or mailing address so that we can send you a receipt. Kindly send your offerings by cheque in favor of "Ankush" (in India) and mail to the address given below. Corresponding receipt will be mailed back to you once it is credited. Kindly provide us with your Contact Number, e-mail & mailing address with out fail.